"Astral Waves, (aka DJ Zen) founder of Altar Records, has made you ''Magnetique.'' His third studio album. With the unforgettable help of some amazing musician friends, this long term project was carefully crafted for over 4 years in studio. A very long process where everything had a story. Through 8 tracks featuring the collaborations and works of Suduaya and Sukhush, Androcell's track 'Efflorescence' remixed and interspersed with Zen's own 'La Danse des Elfes' and 'Deploie tes Ailes', ''Magnetique'' unfolds good track after track. Sufi's life & Merlin, mystical ambiances from Aureohm, Alwoods and Astral Woods. Suntrap is as brilliant as it is in cue as it sounds. Astral Woods warms the mind when it comes to playing good morning tracks. Smooth powerful drones and 4/4 kicks all in balance upon rolling bass-lines. 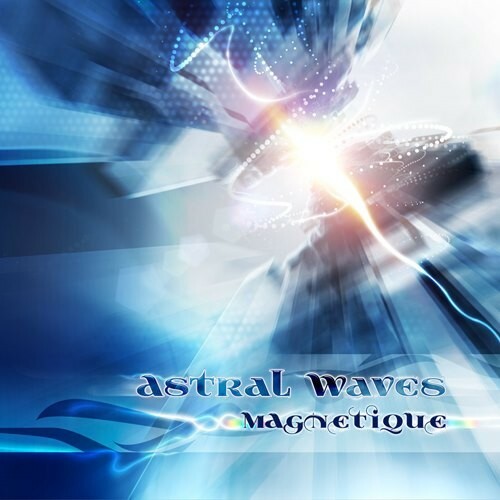 Astral Waves has clearly defined his sound and selected highly talented artist's. True to his electronic music roots and evolving his arrangement in a beautifully balanced way, ''Magnetique'' is centered in stride to it's depth. With a finish that as though waking from a dream, make this one a deeply charming addition to your collection"